Marcel Kittel called the first stages of the Tour de France “dangerous” after previewing them in training. The team Giant-Shimano’s German, winner of four stages last year, aims for the yellow jersey in Harrogate on July 5. “I think the roads are in some parts very dangerous for a peloton of the Tour de France,” Kittel said. On Tuesday, Kittel previewed stage two to from York to Sheffield with team-mates including John Degenkolb. However, it is unclear which of the two Yorkshire stages Kittel refers to in the report. Michal Kwiatkowski (Omega Pharma-QuickStep) credited his race programme for his recent success in the Ardennes Classics. He placed fourth in the Amstel Gold Race and third yesterday in Flèche Wallonne. Instead of racing the cobbled classics, Kwiatkowski took a break after Milan-San Remo. He took the traditional Ardennes route by racing the Tour of the Basque Country the week beforehand. After crashing and abandoning the Amstel Gold Race, Joaquím Rodríguez fell in Flèche Wallonne. The two incidents set him back ahead of Liège-Bastogne-Liège on Sunday. Team Katusha’s Spaniard crashed with Damiano Cunego and Fränk Schleck at 3.5 kilometres to go. 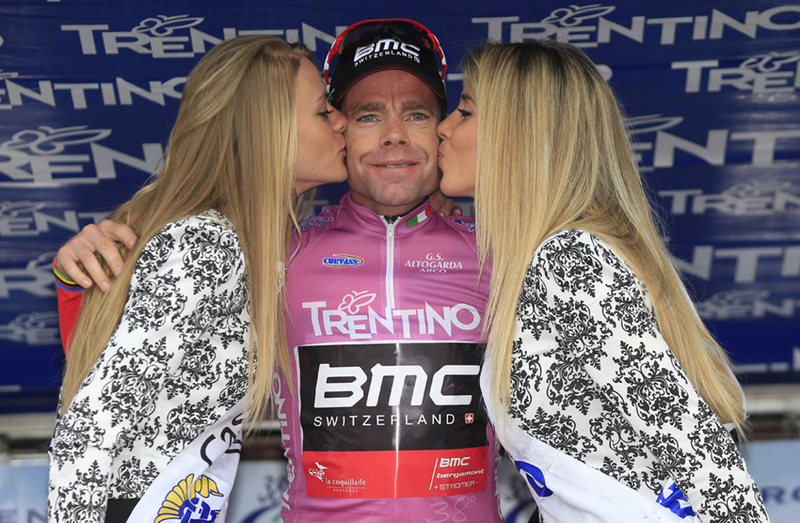 Cadel Evans (BMC Racing) returned to the top in Italy’s Giro del Trentino. He placed fourth and took the overall lead in the mountain stage to San Giacomo di Brentonico on Wednesday, then increased his lead with a win on Thursday’s stage three. Sacha Modolo missed the Italian national team’s reconnaissance of the world championships course in Ponferrada, Spain, today. He arrived to the airport on Wednesday without his identification and was unable to fly to Spain. The team continued to train as planned with Luca Paolini, Filippo Pozzato and Oscar Gatto, and return home tomorrow. Team Colombia, based on a Facebook poll, designed Miguel Rubiano’s national championship jersey. Followers had three choices and 10,000 decided on large yellow, blue and red bands. Rubiano, 29, won the national championships on April 12. He will be able to show off the jersey when the Giro d’Italia starts from Belfast next month.